Spruce Street Sleeper - KingSpruce Street Sleeper - King, alt="Spruce Street Sleeper - King, "
This item is made to order and will deliver in 6-8 weeks. Casual, family-friendly, and perfect for high-traffic areas. Our collection ranges from understated solids to punchy patterns. 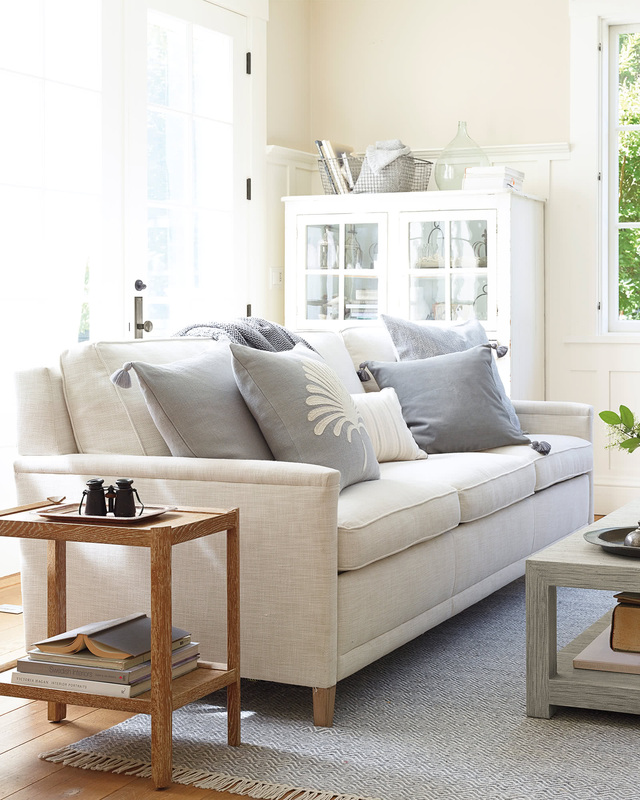 We love linen for its refined texture, versatility, earthy elegance, and ability to instantly elevate a space. Leather, cowhide, and suede provide cozy glamour while adding natural texture to the room. Luxurious Perennials® performance fabrics are woven from 100% solution-dyed acrylic, and resist UV radiation, mold, mildew, and staining for furniture that will last season after season, indoors or out. You can choose up to 10 swatches for free. Wondering which fabric's for you? Hardwood frame is corner blocked for stability. Seat cushions made of down-wrapped, soy-based foam for cozy comfort. Resilient 8-way hand-tied steel coil springs create even suspension and comfort. Customize the look with our signature fabrics. 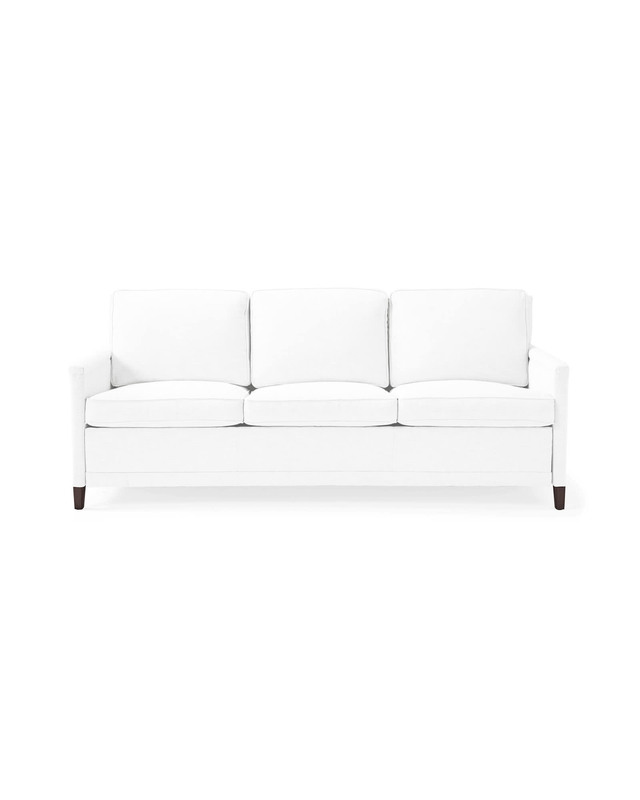 Also available in plain muslin base, so you can readily re-upholster in any fabric you choose. Solid wood legs are finished with low-VOC stain in Natural, Dark Walnut or Driftwood. Effortlessly converts to comfy bed with pullout mechanism. Equipped with award-winning patented sleep system: no bars, springs, or sagging. Premium, high-resilience foam mattress with breathable ticking. Spot clean with a mild, water-free solvent. Let dry naturally. 85”W x 38”D x 37”H overall. 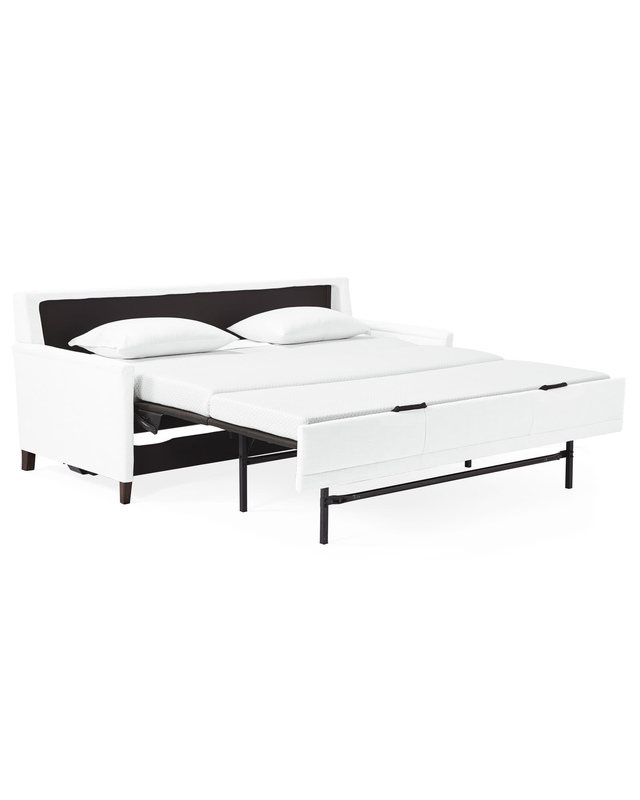 King-size mattress: 76”W x 80”D x 4”H. This item is made to order and will deliver in 6-8 weeks. It arrives via White Glove Delivery. We deliver within the continental United States, Hawaii, Alaska, and Canada. Our White-Glove Delivery Service includes bringing the item into your home (up no more than two flights of stairs), unpacking it and removing all packaging. Headboards will be unpacked but not attached to existing bed frames. Return Policy: We stand behind the quality of our products. In the event that an item arrives defective or damaged, please let us know immediately upon receipt and we will make it right. Custom upholstery pieces are non-returnable. We want you to be thrilled with your purchase. If you have questions about shipping and delivery, please call our Customer Care team at 866.597.2742 or email us at customercare@serenaandlily.com. An edited mix of iconic silhouettes and family-friendly fabrics, from luxe leather to relaxed linen. Benchmade in North Carolina by furniture makers who have honed their skills for generations. 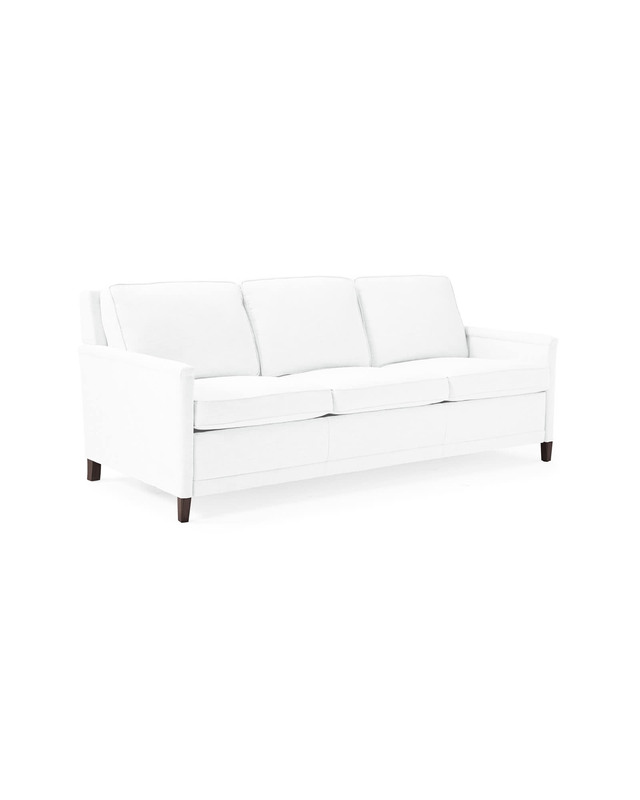 Made with certified sustainable woods and cushions filled with premium eco-friendly materials. Nailheads, leg finishes, casters - give it your signature spin with the details you love most.